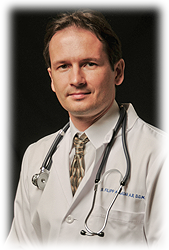 Filipp Gadar received his Master Degree in Oriental Medicine from East West College of Natural Medicine. In conjunction with his studies at East West, he had a four year private apprenticeship in Tai Chi, acupuncture and herbology with Dr. Zuozhen Wang, one of the most prominent masters of Chinese Medicine in the United States. Filipp also received his point injection certification from Dr. Zuozhen Wang upon graduation. Originally from Moscow, Russia, Filipp danced professionally with the famous Bolshoi Ballet. This experience has allowed Filipp to gain valuable insight into the treatment and prevention of musculo-skeletal injuries. Filipp is the acupuncturist of choice among the dancers of the Sarasota Ballet of Florida. Filipp’s ties to Russia have given him the opportunity to introduce the Russian healing technology of SCENAR Therapy to his practice. Developed by the Russian Space Program, the SCENAR only became publicly known in the end of the 80’s because of “Perestroika” and the breakdown of the USSR. Filipp is able to enhance the results of the SCENAR device by using it on the acupuncture points of the body to promote healing. Certified by the National Certification Commission for Acupuncture and Oriental Medicine. Clinic Supervisor at East West College of Natural Medicine since 2009.